Since I haven’t given much thought to the science behind the making of ice cream there is no way I was going to “tweak” the recipe that I found and “make it a bit more my own” like I like to do when I find and try a recipe online. At least the pics are mine. This afternoon I am on the hunt for a turn of the century white cake recipe – going old school. Speaking of school…. gotta love Homeschooling on weeks like this. No rush to get out the door in the morning and we cram in a lesson any time I don’t have a baby or a wooden spoon in my hand. Kiddo is reading words as of last week too!!!! PS – I love lavender but even I think this is a bit strong. 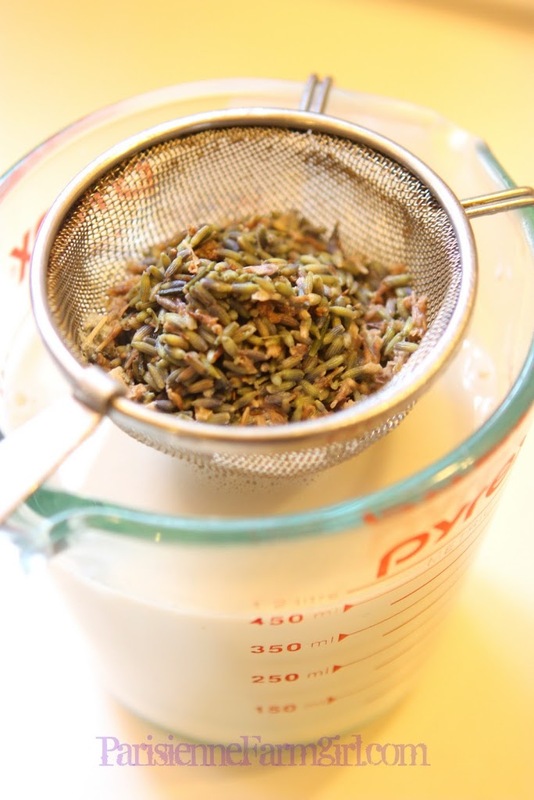 If you think it tends to taste too medicinal you may want to half the amount of lavender buds recommended! 4. Remove from heat, and immediately stir in cream. Strain mixture into a medium mixing bowl set in an ice-water bath, and let stand until chilled, stirring from time to time. Freeze in an ice-cream maker according to manufacturer’s instructions. Store in an airtight plastic container up to 2 weeks. 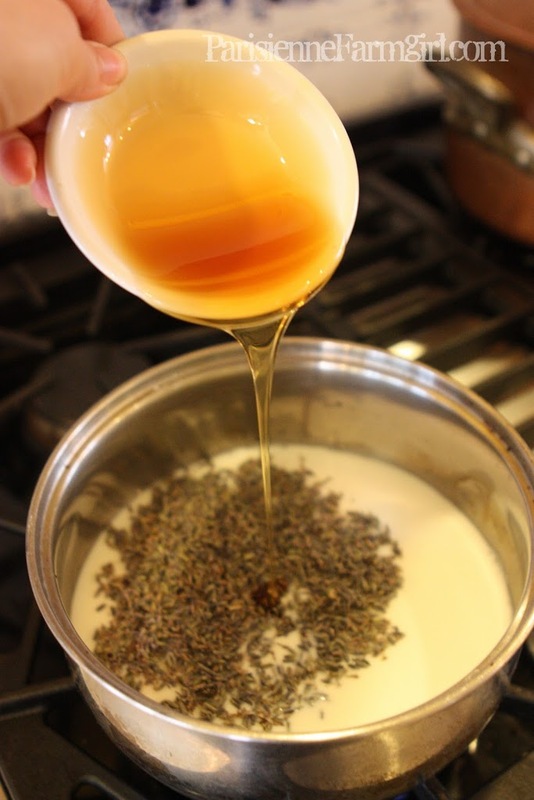 I make ice cream too and honey lavender is one of my faves…yours looks delicieux! Oh that looks fabulous and I’m sure it tastes amazing! Love your header! I grow lavender in my garden and wasn’t sure if every variety is edible. 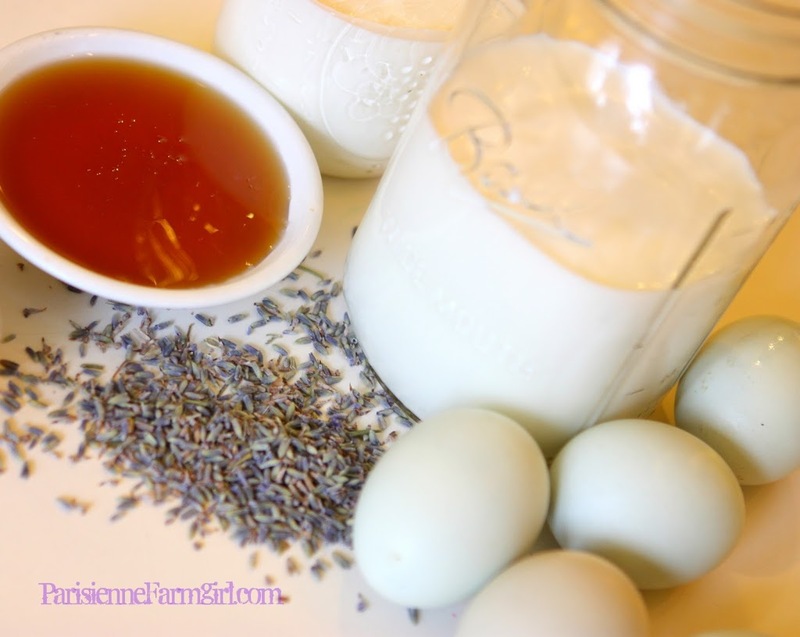 Is there any indication which variety of lavender she uses? This looks delicious! This looks gorgeous and your photos are beautiful. Have a wonderful party. it looks delicious- you are amazing! 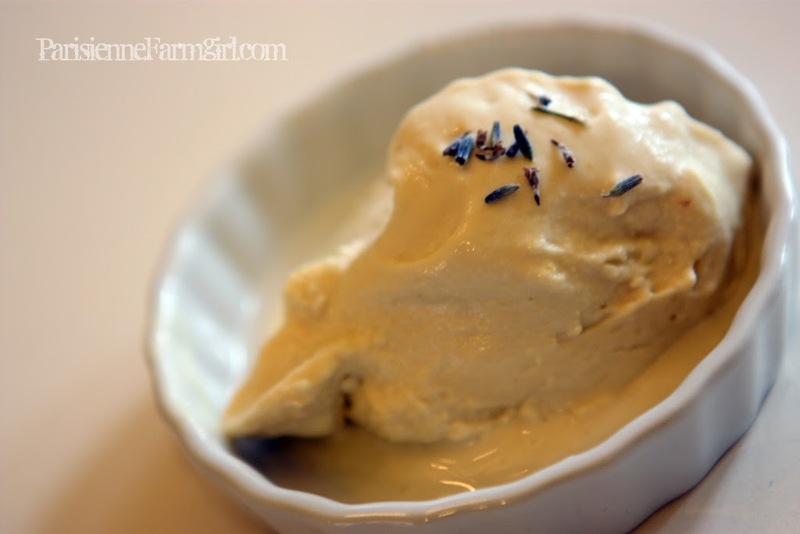 We got an icecream maker for Christmas & have been having fun experimenting making different icecream, but I haven’t tried a lavender one though! It looks amazing! Home schooling is definitely wonderful & when we began I felt so released from the pressure of the school morning & afternoon rush! Have a wonderful time enjoying your precious family!